The product has LOW AVAILABILITY. HTQ Malossi gears for the Vespa PX inherit the elements of the first gears project produced by Malossi between the end of the 80s and the beginning of the 90s. 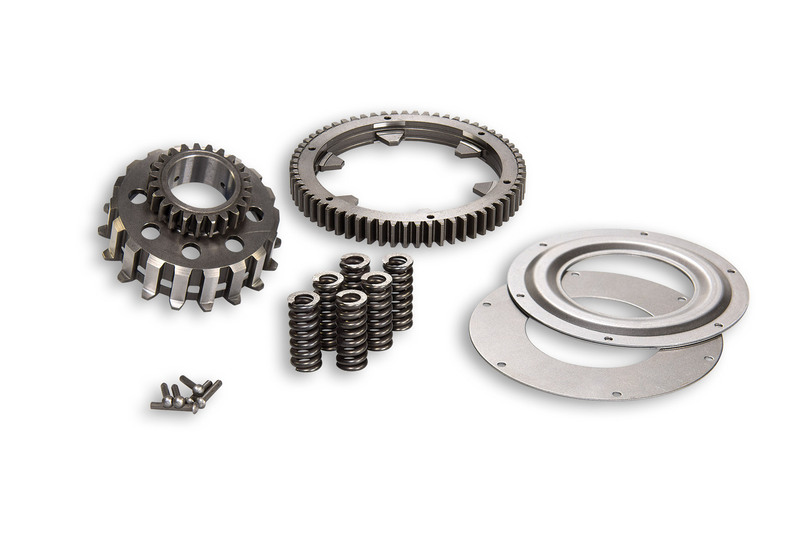 Completely redesigned, these primary gears use a straight-tooth configuration instead of the standard helical teeth. Malossi has worked hard to guaranteed exceptional silence from the gears, obtained by special processing of the teeth and associated contact surfaces, finished with a maniacal attention to detail and checked on an involute measurement machine. HTQ Malossi gears are manufactured exclusively using materials which pass the stringent standards imposed by our technicians, rigidly tested and inspected. The final process uses digital testing machines, after which Malossi HTQ gears undergo a compete thermochemical cementation process at 900°C, giving them the required hardness and durability. Finally, the size and the quality of the end gear product is checked on a 3D Zeiss testing machine. Paired two-to-two for correct operation, Malossi HTQ gears are the most precious things that a true enthusiast could choose as a gift for their Vespa!